One of the most common problems which lead to a garage door that won’t come down at all, or only come down partly but then reversing to open position, is a problem with the garage door opener. There can be many possible reasons why the opener stopped, or why it doesn't work like it used to. From a bad garage door and opener installation, to a bad or no maintenance job at all, if your garage door opener is not working, or if you think that there is something wrong with the way the opener works, please contact Three States Garage Doors of Fairfax County, or a garage door company in Virginia, and one of our garage doors technicians will be happy to help. We carry, supply and install high quality garage openers from leading brands, like Liftmaster garage openers, Genie garage openers, and more. We offer same day service, whether it is a new garage opener installation, or repair. We also supply garage operator’s parts like Key-pad, remote control (Clicker) and more. We do not limit our services in Fairfax County to only residential operators, we also supply commercial operators for overhead doors in Fairfax County. Which makes us to a company that can deal with any garage door problem, whether it is a broken opener or a broken garage door spring. Three States Garage Doors offer same day garage door opener repair in Fairfax County Virginia, and we provide service for garage door openers from all brands. Sometime the opener can’t be repaired, or the cost of repair may top the price of a completely new garage door opener installation. But don’t worry, we got that covered. 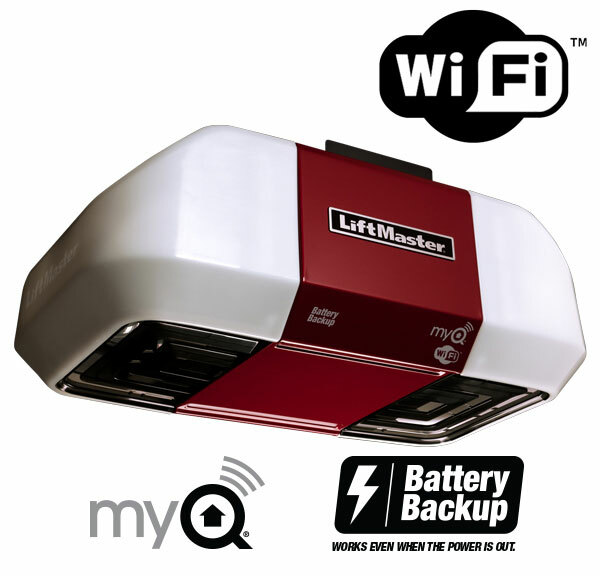 We carry with us garage door openers from leading garage door openers brands such as Lift Master, and we are ready to replace your garage door opener right there on the spot. We install garage door openers for residential and commercial Overhead doors, and we also provide garage door opener parts and accessories such as Key Pad, Remote control, Push Button and safety sensors. All you need to do is to contact us, and let us help. We offer same day service in Fairfax County Virginia, and we are ready for any kind of service, whether you need a new garage opener installation, or safety sensors replacement, we can help. We train our technician to be ready to deal with any garage opener problem, and to carry parts and units for all garage doors. If you need the services of garage door technician in Fairfax County, Three States Garage Doors ready to help. A problem with the garage door opener can be an unpleasant experience that sometime can happen at the worst time. We at Three States Garage Doors understand that, and to try and ready to help ASAP. We offer a same day garage door motor repair in Fairfax VA. From fresh installation of a new replacement, we are ready to complete the job. It is not always the opener! One common problem that we see a lot during servicing garage doors in Virginia is a problem with the door itself (Problem with the mechanism of the door) that seem like a problem with the opener. And in order to explain that, we need to make one thing clear: What makes opening the door to so easy, and what prevent the garage door from falling into the floor when it is closing is not the opener, it is the mechanism of the door. The opener is only in charge of small amount of lifting and lowering the door. So the rule is very simple: If there is something wrong with the door, do not try and open or close it with the garage opener. First you will need to address the problem, make sure that the door is working properly when you use it manually, and only then you (Or the repairman) can connect the garage door opener to the door, and use the door electrically. Every garage door, whether it is in Fairfax County Virginia, or automated overhead door in Washington DC, must include a safety feature! This is not an option, or up to you or to us, this is what required by law. There is a federal law that require every automated garage door to include a safety feature, which will protect and prevent the closing overhead garage door from hurting someone or something by the closing garage door. If you own an automated garage door, make sure that the door is equipped with safety feature, and the most popular one in Fairfax County is the safety sensors. The garage safety sensors in are installed on each side of the garage door, next or on the tracks, and no higher than 6 inches from the floor (to protect pets or small objects from getting hurt). The safety sensors should be installed when they are facing each other, and in case an object will interrupt the invisible laser beam between the two sensors, the garage opener which closing the door will stop it movement and reverse to open position, and by that protect and avoid hurting the object which interrupt with the laser beam. It can be a person, bicycle, or any other object that may be forgotten at the garage door’s path. If your garage door opener stopped working completely, or if you think that there may be a problem with the way it is working now, You should stop using the garage door, and contact a garage door contractor that serve Fairfax County. But most of us don’t really know what kind of opener we need, which of the garage opener brands offer high quality openers, and is it even possible to install an opener in to operate their garage door. One of the purposes of our article we will try and shed some light on the subject, and try to assist you find the right opener for your garage door in Fairfax County. Before you go ahead and contact a local garage opener installer in Virginia, please read our recommendations, explanations and tips, to assist you purchase the best garage door opener, from the kind that last for many years. The first thing you need to check is if there is electricity in the garage at all. Not every garage in Fairfax County has electricity, and it is impossible to install a new motor without electricity. If there is no electric power to your garage, you will need to contact an electrician in prior to the new opener installation. Do not assume that you can buy a garage operator with battery backup, and use it without electricity (Like one home owner in Virginia tried once, the garage operators with the battery backup is just for back up. The second thing is the structure of the garage and the way it is built. There is a certain space which is required in order to install a garage door opener in Fairfax County. And in some cases, the installation may require additional modifications to make the installation passable. So if you never had an opener before, it is not obvious that it is going to be possible to install a new opener. It can be a garage opener installation Alexandria, or garage opener installation Rockville, call a local specialist, who can make sure that the installation is possible. 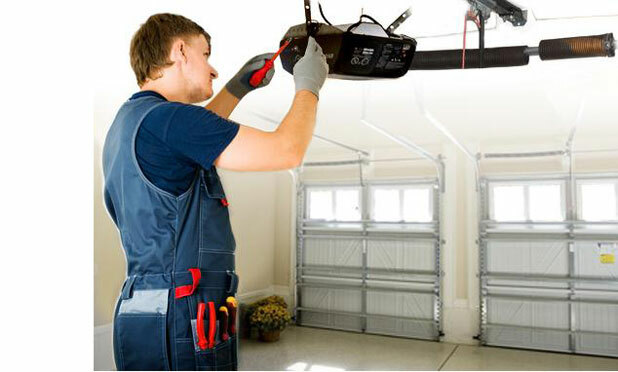 After many years of servicing overhead doors in Fairfax County, including repair and installation of garage openers, there is no problem that we cannot overcome, since when it comes to garage door services, it can be garage door opener repair in Washington DC, or garage opener in Alexandria VA, there was never a garage door problem that we couldn’t solve. There are many garage door brands. Some of them offer high quality openers, and some offer low quality openers. The thing is that the difference in prices is not as big as the difference between the qualities, and with investment of 10-30 percent more, you can purchase one of the best garage door opener in the world. 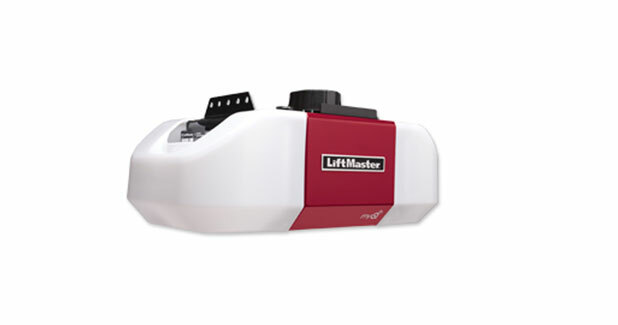 We supply high quality garage openers in Fairfax County, like the Liftmaster garage opener, which considered to be strong and reliable, and when being used properly, can last for many years with just basic maintenance. If you want to read about the garage door openers types, you can read the article written by us, which offer general survey of the garage door openers and types. 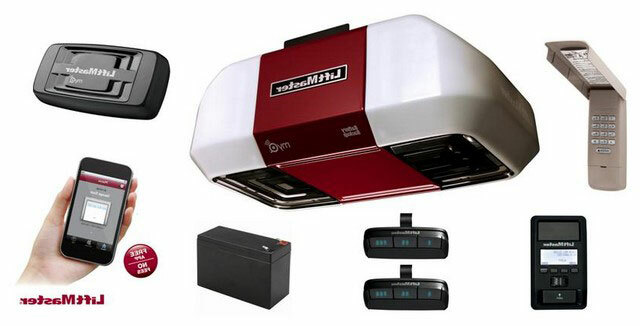 But to make it short, we believe the Liftmaster openers are considered to be strong and reliable openers, what make them our preferred opener manufacture to work with. And after 20 years in the garage door business, and after countless garage door opener installations in Fairfax VA, we know why choose to recommend that particular brand to all our customers. If you garage operator in Fairfax County do not open or close the door, it may be due to several reasons. From a problem in the garage door itself, through safety sensors troubleshooting, to a broken gear or damage to the board, there isn’t always one option why the opener stopped working. When it comes to garage door operator troubleshoot, there are many problems that you can repair by yourself, and there are problems that require a trained technician that know how to fix garage door openers in Fairfax County. We would like to go over some of the common opener issues, and help you with garage door opener troubleshooting. 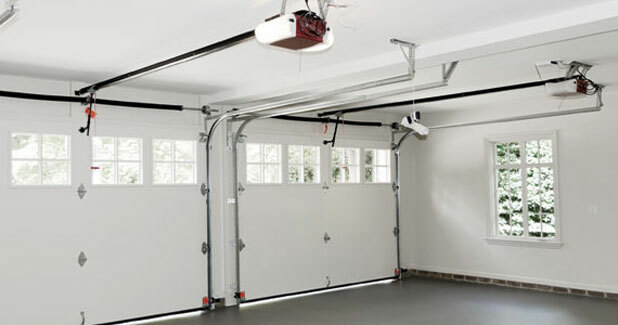 But before we start, we will repeat what we said before: Every overhead door should work perfectly manually in order to be connected to the garage operator. If the door is not working perfectly that when you use it manually, you should repair the problem before connecting the opener to the door. And that goes for every garage doors, whether it is a broken garage door in Fairfax County or a broken garage door in Maryland. Broken garage door shouldn’t be use. The remote (Clicker) is not working: If the wall switch or the Key less entry of your garage door in Fairfax County is working, but the remote is not, you either need to replace the battery of the remote, or to reprogram the remote and sync with the motor. You can either do it by yourself, or contact Three States Garage Doors for same day garage door repairs in Fairfax VA to come and fix or replace it for you. The door is not closing all the way: This may be a symptom of a safety sensors issue, or a problem with the travel limits. If when you are holding the wall switch the door is closing perfectly then you may need to adjust or repair the safety sensors. Many times someone accidently moved one of the safety sensors from where it is installed, and by that caused to the invisible laser beam between the sensors to break. All you need to do is to bring the safety sensor back to its place, and it may solve the problem. If that did not solve the problem, All Fairfax County Garage Doors will come and fix it for you today, since garage door repairs in Fairfax County is what we do. No sound or lights when trying to use the opener: You may not have power to the outlet. Check if there is power in the outlet. If there is no power, use a licensed electrician in Fairfax County to repair the problem. The door is not closing completely: If the opener does not close the door all the way, or if the door is stop in open position which is too low, you may need to adjust the travel limits. Check the manual for instructions. There are different operators for garages in Fairfax VA, and each one is adjusted differently. Search for the model you have and follow the instructions, or use a local garage door expert for the job. The chain drive operator is the most popular and our best seller Fairfax County Virginia, and we consider it as one of the strongest operators. When it is from a known brand name, the chain drive garage operators in Fairfax County are reliable, relatively quiet, do not require high maintenance, and can easily work for more than years. The chain drive operator is opening and closing the garage using a steel chain that connected to the operator on one side, and to the rail on the other side, opening and closing the garage door. It really doesn’t matter if you own a garage door in Fairfax County, Annapolis or a garage door opener in DC, what matter is that you will choose the operator that will serve you well, since it is something that you shouldn’t do more than once every 20 years or more. The important thing is that you will choose between the chain and the belt drive, and that you will choose a reliable brand, since like everything else in life, quality matter. You may choose a chain drive operator, or a belt drive operator, whatever you choose, make sure you use a trained garage technician, and make sure that you are getting a high quality operator. You may own a Liftmaster belt drive opener for garage door in Alexandria, or Annapolis MD, broken garage door shouldn’t be used. It can be a broken opener, or a broken spring, a commercial garage door, or a store front roll up gate, do not use a broken overhead door, and use a qualified and experience technician to perform the repair. Although you may be use to overhead door that operate safely and smoothly, when something goes wrong, the door become extremely dangerous. Call Three States Garage Doors of Fairfax County for same day service.